Hi Loves! 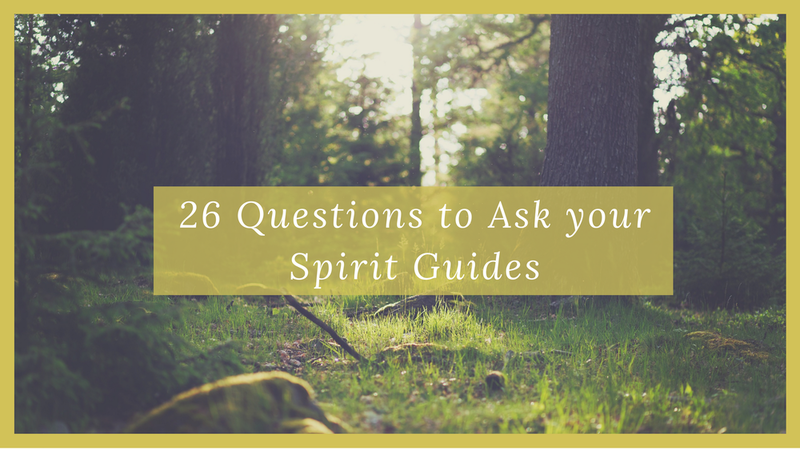 As a follow-up to Spirit Guides 101 Part 1 & Part 2 , here are 26 questions to ask your guides while connecting with them. These questions will allow you to begin to deepen your relationship and connection to your Spirit Guides. Happy communing in discovery! Why have we chosen to work with each other? Did we share any past lives together? If so, what was our relationship? What lesson are you here to help me learn? What was your life like? What kind of guide are you? Are you a lifetime guide or are you here to guide me through a particular lesson? How can I love and support myself more? How can we deepen our connection? What is your "sign" to let me know you're around? Is there a gift you have for me? How can I feel your presence more? How is my spiritual development going? Are there any spiritual tools or concentration of study you would have me embrace? What can I do or learn right now to aid my spiritual growth, evolution, and development? How can I listen to and follow your guidance? What is a significant time in my current life that you helped me with? How can I tap into my soul purpose more? How can you help me with my manifesting? How can we co-create? Where should I keep persevering? How can I strengthen and develop my intuitive gifts? How can I be more of a Lightworker in my community? Where should I put my focus in shadow work? What karmic lessons should I concentrate on? How can I break this karmic cycle? I hope you find this to be a great resource for deepening your relationship with and getting to know your guides! Don't be afraid to add some of your own - allowing one to lead to another. What additional questions would ask them?